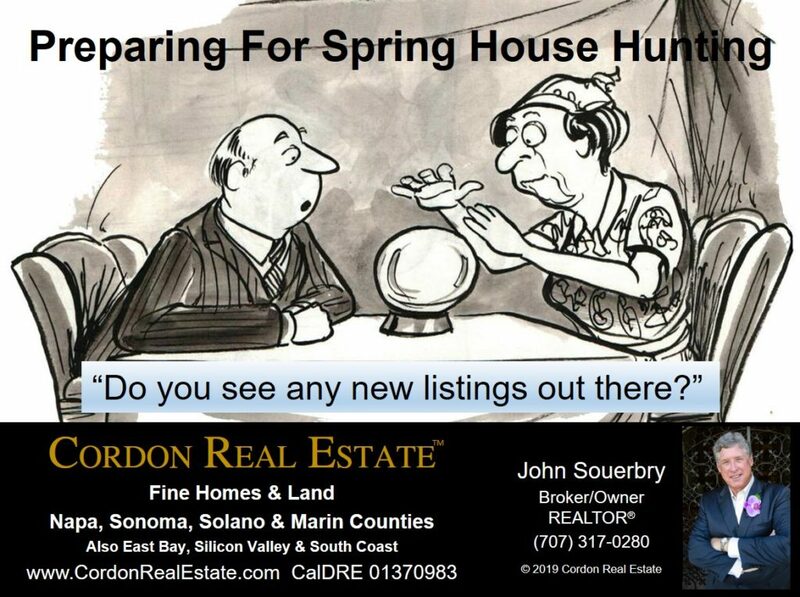 March is here, launching the spring house hunting season for home buyers across the country. Much has been written about how to get started buying a home, especially for first-time buyers unfamiliar with the many steps and details of the purchase process. The spring market is unique, so let’s look at a simple five step approach to preparing for spring house hunting and then consider influences unique to the spring season. 1. Establish An Initial Budget. Establishing an initial budget has nothing to do with mortgage pre-qualification, it is an estimate of how much we are willing to spend on housing as a portion of our total family budget. Lenders may pre-qualify us for a $1,000,000 purchase based on our income, credit score and other factors, but we may have other expenses that are equal or greater priorities, such as retirement savings or education, that prompt us to look for a house priced much less. 2. Establish Initial Search Criteria. Initial search criteria typically include locations, features and price range (based on our initial budget). We’ll use initial search criteria to scan the market. 3. Scan The Market. Scanning the market allows us to test our initial search criteria. Are homes available that meet our criteria? Do we need to adjust our criteria to provide more options or to narrow our search? If we haven’t already engaged a qualified real estate agent to help with our house hunting, this would be a good time. 4. Firm-Up Search Criteria. Armed with knowledge of the market, it’s time to firm-up our search criteria by obtaining mortgage pre-qualification and confirming the characteristics we want in our target property. Since the likelihood of finding perfect properties is slim, we should apply simple labels to each of our search criteria, typically: Must, Desired or Not. 5. Search. Conducting the search means constantly scanning the market for new properties and being ready to make an offer immediately when a property meets our criteria. Good properties are often gone in a flash, so buyers must be ready to make an offer within hours. Fewer properties will be available as most sellers wait for summer to list their property for sale. There will be fewer buyers actively looking for homes than in summer. It may seem that fewer buyers means less competition, but spring buyers are often well prepared to move on good properties. Asking prices could be set high, but are often “soft.” Homes listed for sale early in the year set their asking price before a sufficient number of comparable sales establish near-term market conditions. Spring sellers may set their prices high, hoping the market will rise to support their price. If market values don’t rise, sellers may be willing to negotiate. Have questions about spring house hunting or other real estate issues? Drop me a line!